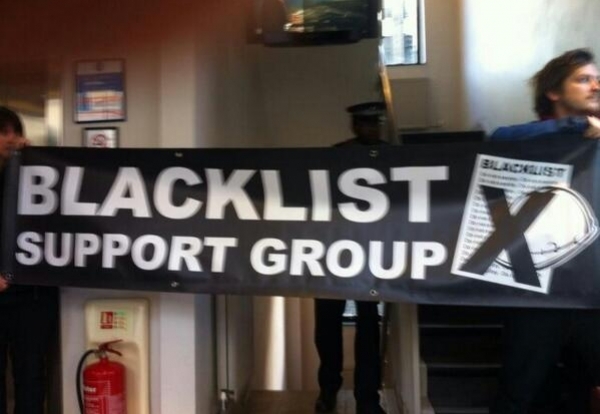 Police were called on Friday to Sir Robert McAlpine’s London head office which was infiltrated by members of the Blacklist Support Group. Eye-witnesses said scuffles broke out between McAlpine staff and members of the rank-and-file organisation. Blacklist Support Group leaders said they were trying to serve a “citizens arrest” warrant on a McAlpine director for his alleged role in the construction blacklisting scandal. A fleet of police vans turned up at the offices near Hyde Park Corner to deal with the disturbance.